Located in the north-east, Lake Garda is Italy’s largest lake that stems three regions Trentino, Brescia and Verona. The abundance of beauty, activities and adventures is evident to see on great private Lake Garda tours. The lake is 51 kilometres in length and 17 kilometres in width at its widest point which is in the south. If you were to drive around the Lake, it is 158 kilometres.The diversity of landscape is impressive with mountains, steep alpine foothills, sheer cliffs, forests and beaches. There is a Lake Garda adventure tour to suit everyone when they come to visit. The charming and characteristic lakeside towns have attracted foreign visitors for years and years, even going back to ancient Roman times. Almost all the towns offer a tourist something exceptional to do or see, either on sightseeing tours Lake Garda or in the form of a unique activity. When you go on Lake Garda private Guided tours in any of the towns surrounding Lake Garda, you will find them fascinating. 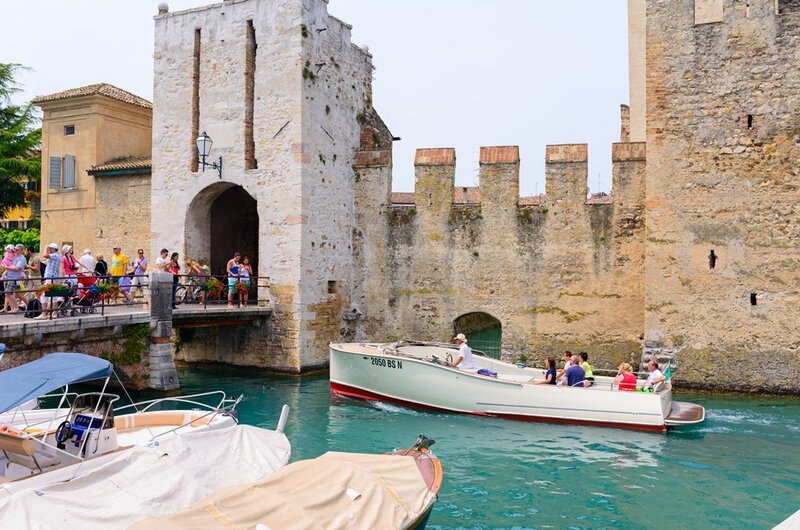 One such place is Sirmione; this picturesque town impresses from the very start as to enter the town, you must cross a drawbridge over a moat. There are a number of historic and cultural towns like this one to explore. In relation of activates and adventures, the most obvious are the water sports. 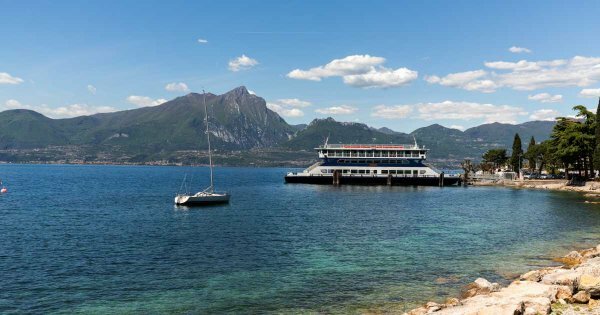 Enjoy all that the waters of Lake Garda has to offer which includes paragliding, jet skiing, paddle boarding, windsurfing, kayaking, diving and any other water sport you can think of! The most relaxing way to spend a day is on a luxurious Lake Garda boat tours. For the more adventurous and thrill-seeking, the activities on the mountains are for you. There are steep rock climbing, hiking, mountain biking, rappelling and best of all the views when you reach your destination. Organize the perfect Lake Garda custom tour to fulfil your desires! 1 The picturesque town of Sirmione is fabulous to see on sightseeing tours Lake Garda. The entrance to the town alone is worthy of a visit as you cross a moat via a drawbridge. You are entering the forecourt of the Castello Scaligeri which was built during the 12th century. Enjoy a Castle guided tour and from the top of the tower see panoramic views of the town and lake. There is a luxury spa where the Roman sulphur springs once were. 2 To the north of Lake Garda is the picturesque Riva del Garda. Idyllically sitting between the water and the mountains, this town has a medieval feel as your stroll through the streets and inviting waterside parks and promenades. 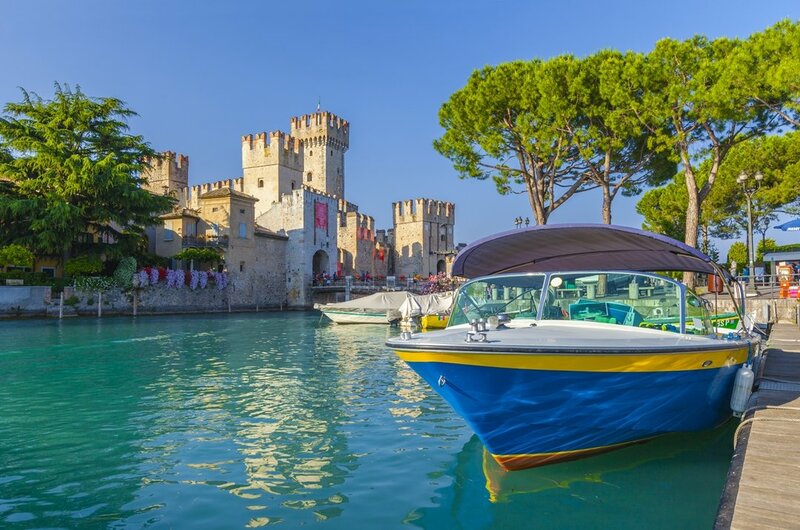 Visit the Rocca del Riva castle and its Museo Civico with fascinating artefacts or take a Lake Garda custom tour to Torbole which is nearby and known for being a top windsurfing destination. 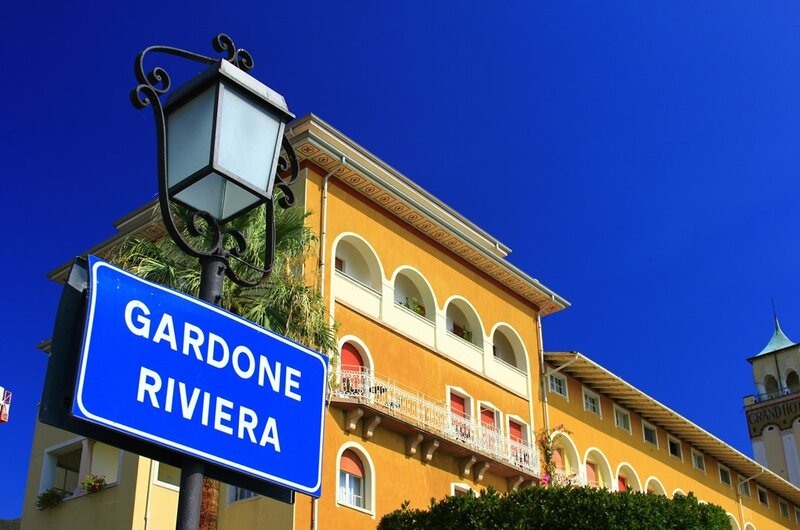 3 Located on Lake Garda's western shore, you will find the beautiful town of Gardone Riviera which is just one of several in the Riviera Bresciano. This town is yet another that has the stunning backdrop of mountains and sits on the water's edge. This town is known for its thriving vegetation due to the climate and the Hruska Botanic Garden is a must on sightseeing tours Lake Garda. You are mesmerised as you walk the winding paths. 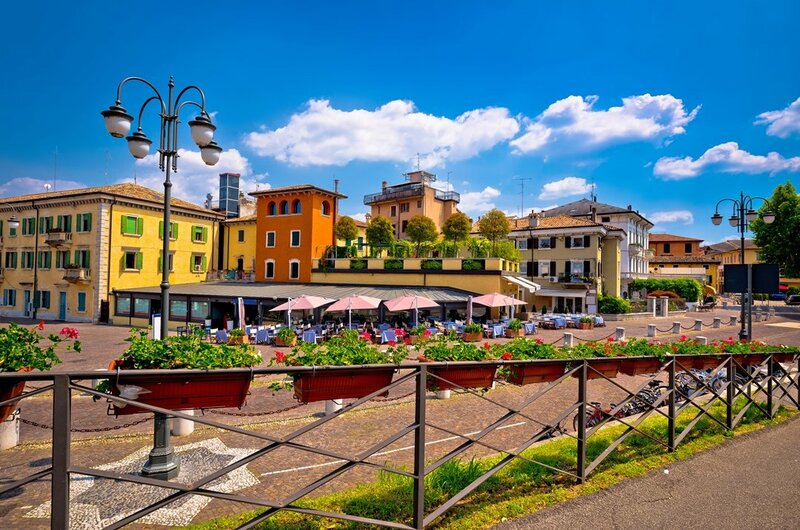 4 On the south-east shore of Lake Garda is a cluster of lovely towns and Bardolino is just one of them. Here you can learn at Museo dell’Olio d’Oliva how olives are pressed into oil. Alternatively, base yourself in Bardolino and on private Lake Garda tours venture to the neighbouring towns on short visits. See Lazise a walled medieval town, or explore Torri del Benaco which has its own Castello Scaligero to name a few options. 5 Arco is an old town which is located north of Riva. 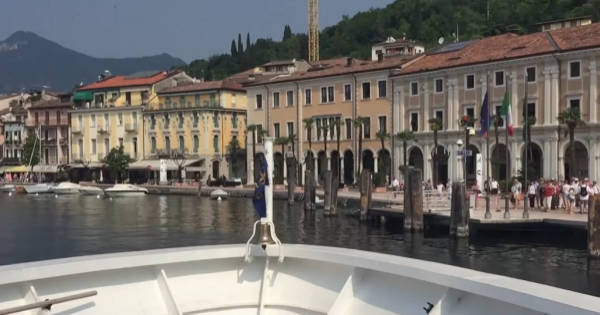 As you approach this town on a Lake Garda custom tour, you will feel like you are visiting a movie set, it has such fantastical sights from rugged mountains to small lakes. Visit the fabulous waterfall, Cascata del Varone, that carved a vertical gorge due to its drop from a glacial lake. Arco is on the Sarca River banks and you should climb to the Castello de Arco on the cliff top. 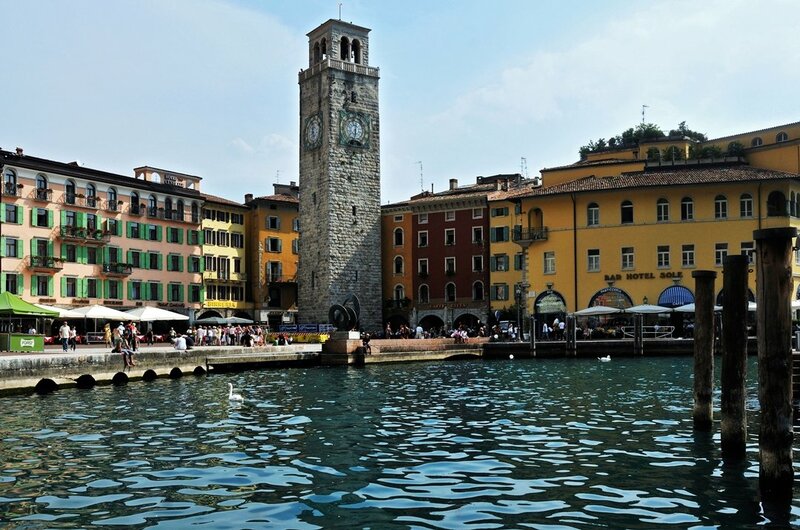 6 Discover the wonderful town of Peschiera del Garda on sightseeing tours Lake Garda. It is located at the southern end of the lake and offers much historic and culture for those wanting to see and learn. 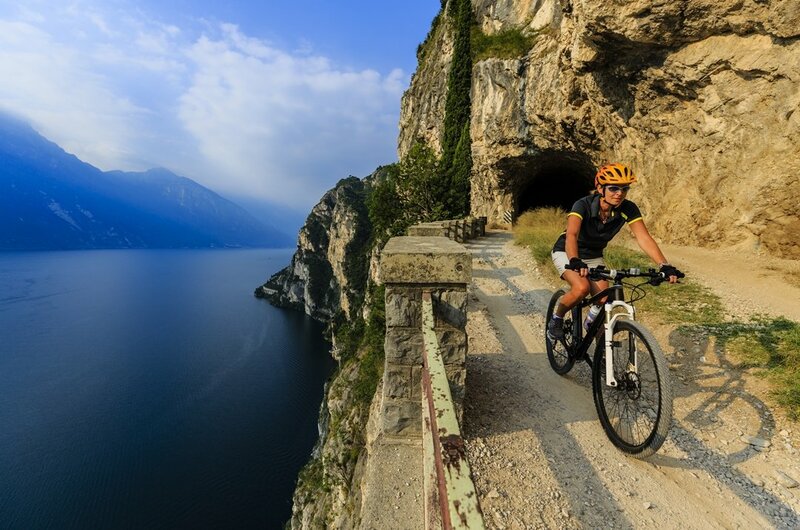 Explore its vineyards on Lake Garda Custom tours or see the countryside on cycling tours. The highlight of the town is the old town centre located in the centre of a large 5 pointed star shaped fortress with water surrounding it. 7 To the west of Sirmione is the stunning little town of Desenzano del Garda. It is a town which is situated in the middle of a marina basin and piers. There are hydrofoils and lake steamers coming and going from the piers. For tourists who love history, take a Lake Garda custom tour to a Roman Villa, Villa Romana, which was excavated near the town centre and has impressive ancient mosaics. Relax in cafes and bars in the waterfront. 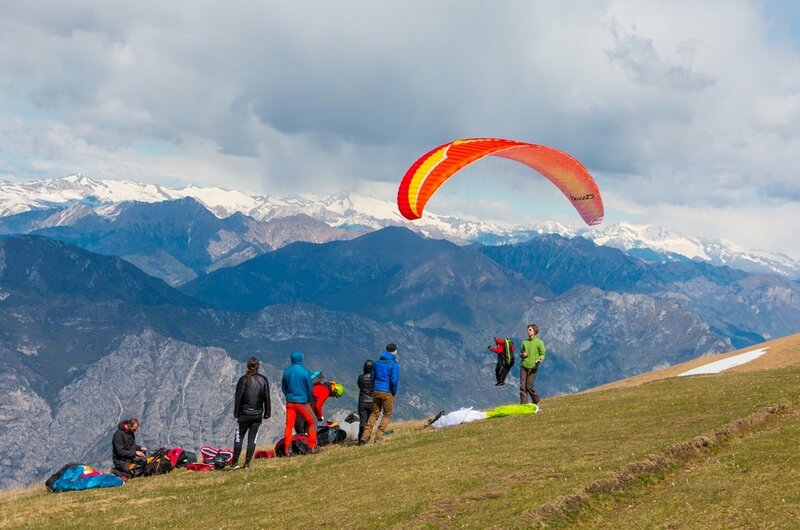 8 For some Lake Garda adventure tours why not do any of the many paragliding and parasailing tours available. These tours are available in most of the towns surrounding the Lake and are great fun. Enjoy this experience by yourself or with another person and see the spectacular views from a height. All of these type tours are with certified and experienced operators with your safety paramount to them. 9 Another Lake Garda adventure tour and a great way to explore is by doing some canyon adventures. Whether you are hiking through the canyons, abseiling down the ridges, swimming in the hidden pools, exploring caves or kayaking through the narrow canyons, there is some fantastic thrills, spills and fun to be had. The guides with you on these tours are experienced and qualified. 10 All the sights are easily visited on Lake Garda Boat tours and needless to say, there is an abundance of tours to do. All the most picturesque towns and villages can be reached by boat or, alternatively, take a two-day (or however many days) boat tour and travel the length and breadth of the Lake at your leisure. See the fabulous landscape, beautiful shoreline, charming villages and standout attractions. With the vast amount of places to visit and activities to do, the best time of the year to visit Lake Garda all depends on the person travelling and what they want fro their trip. October is the cheapest month and the prices of the private Lake Garda Tours are reasonable but also the weather is suitable for tours that involve walking around places outdoors. December has the reputation of being the most expensive time. 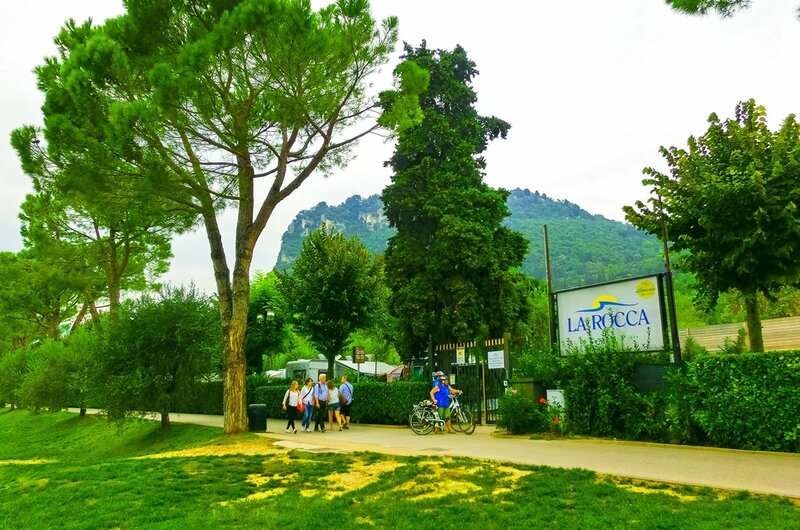 It 's hard to give set prices for accommodation and food as the prices vary so much in the different towns and villages surrounding Lake Garda and also from season to season. The average price of a 3-star hotel is US$94 and for a 5-star, US$375. A meal for 2 people with 3 courses in a mid-range restaurant will on average cost US$60. The prices vary considerably on Lake Garda adventure tours depending on activity available. Do good research on the best area that will suit your needs before booking. Book all Lake Garda adventure tours or sightseeing tours Lake Garda in advance too. When on tours, always listen to the instructions given by your tour guide or instructor and never ever stray from the group. Be careful of your surroundings in areas that are popular and crowded. It is advisable never to walk alone after dark. You should drink bottled water. The climate found in Lake Garda includes warm summers, mild winters and lots of rain in Spring and Autumn. The average range of temperatures from December-February are 5-15 degrees Celsius, March-May is 15-24 degrees Celsius, June-August is 24-32 degrees Celsius, September has 20-28 degrees Celsius and October-November is 10-15 degrees Celsius. The wettest month usually is April; hottest is July and coldest is January.